Director Guillermo del Toro vows that production on his video game trilogy inSane continues apace even with the attention required for Pacific Rim, his next big cinematic effort. "Up until the end of pre-production on Pacific Rim, we were still going up to Chicago, to Champaign, Illinois, to work with the developer," Del Toro tells Wired. " I think it's going to be a fun, scary game. It's a maiden voyage into the medium for me." Del Toro is working with Saints Row developer Volition on inSane, said to be the first offering in a trilogy. 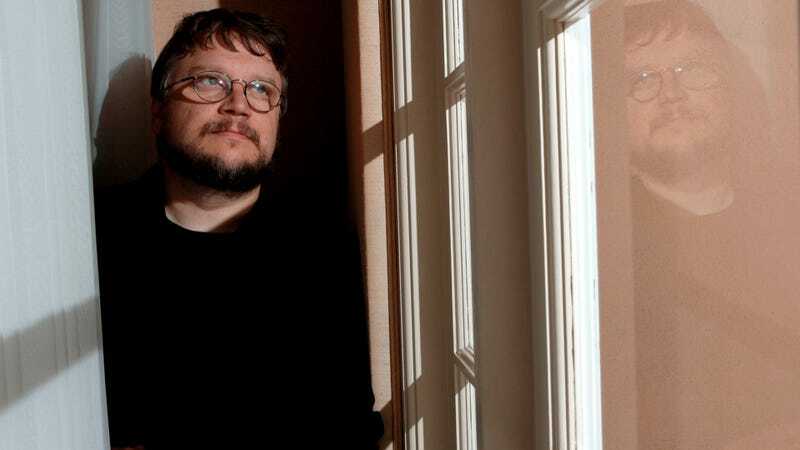 Del Toro says the work is proceeding much slower than a film because, "With a videogame, you don't have to solve one screenplay, you have to solve 20 screenplays, because you are giving the player the illusion of free will." "We're really trying a lot of stuff that I don't think would even fly in the movies" he added. Still, "It's still two-and-a-half or three years away, though, because videogame development is so long," Del Toro cautions. Wired has more inSane and Pacific Rim in its interview below.